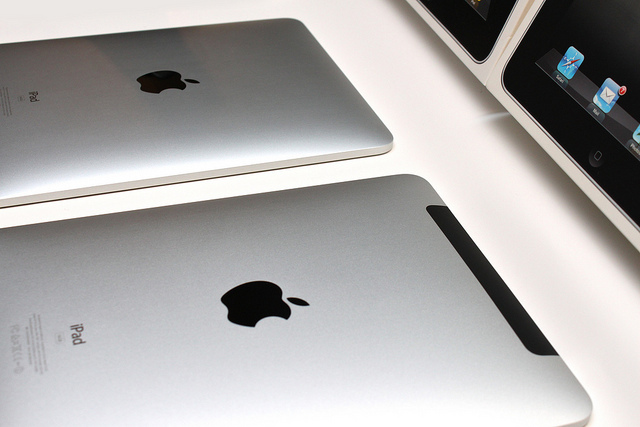 During the time in between Apple product releases, there is no shortage of rumors and speculation about future ones. 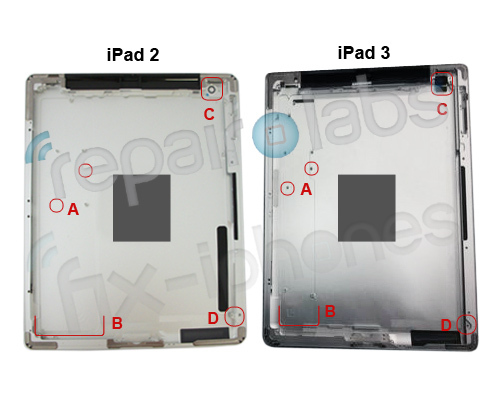 Today, according to the Repair Labs Blog, a revealing photo of the iPad 3’s rear inner shell hints that there might be some tweaks made to the current version of the iPad. A. You can see here that the mounts for the logic board are very different, which means the logic board shape will be different allowing for . . . .
B. More battery. The width of where the logic board sits on the iPad 2 appears much larger than that of the iPad 3. We have long heard that the iPad 3 was going to provide longer battery life, and this back housing seems to support that. C. The camera is different. It is hard to make a judgment just by looking at the casing, but what we can expect is a different camera on the iPad 3 than what we had on the 2. D. LCD will be different than what we have had before. Whether or not it will be the super screen we have seen reported will have to wait. But the different mounting does mean that the LCD has been redesigned at the very least. This all appears to be on the up-and-up with other reports that we’ve heard about the iPad 3 having a retina display, thus needing more battery juice. As we move closer to an official announcement of the iPad 3, expect a huge number of rumors and speculation to start swirling about other features that may or may not come to fruition.